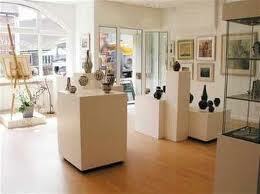 Just on a whim we called in to the Bank Gallery in Chobham High Street to see what was going on. This lovely exhibition space opens twice yearly for six weeks, offering local artists and crafts-people the opportunity to display and hopefully sell their work. In conversation with Elaine Coles, gallery owner, it emerged that reaching the target audience is difficult in a small village where foot traffic is small. All writers, poets, potters, artists …creators of art in its many forms… eventually come up against this problem. Just how can we reach those people who share our interests and would like to come together to share talent, skills, encouragement and support, as well as those who would like to watch, look, listen and even buy! The chances of getting the information to the one person in 20 or 50 or 100 in any location, especially a rural location, seems remote. I am hoping that the answer lies in the reach of the internet. I have promised to share what little I know about blogging, tweeting and linking-in, posting, facebooking and stumbling upon…and as I spoke to Elaine I realised that my web activity has waned drastically in the run up to and aftermath of the last Paragram event. So, with renewed energy and rediscovered focus, I am once again posting a blog and aim to do this at least once every week…and while I am here, does anyone have any amazing tips for success in finding that elusive audience? This entry was posted in Art Gallery, artist, artists, exhibitions, inspiration, online writing, Paragram, performance poetry, performing your writing, poet, poetry, social etworking, Uncategorized, writer, writing, writing groups and tagged Arts, Collectives, Galleries, Paragram, poet, poetry, Target audience, Visual arts, writers. Bookmark the permalink. Some of what I’m going to say may seem negative, Sally, but I’d prefer to think of it as realistic. You have written about not only a universal but a perennial [or at least cyclical!] problem – some marketers are identifying that it’s even harder just now [economic environment / patterns of apathy] to find the right audience – and if you can’t find them, how can you target them? It seems that part of the problem really is that there’s less disposable income generally and even those who are relatively wealthy are looking after their cash, so there’s less inclination to go out to look at nice things, a sort of ‘fear of being tempted to buy’. Plus, of course, if you go out you spend money even if only on a coffee. We have to live through these times, use them to create, and get out the other side with materials for those people who share our interests and would like to come together to share talent, skills, encouragement and support, as well as those who would like to watch, look, listen and buy. So get writing! Don’t give up, encourage Elaine to keep going because it won’t last for ever, this slump – for sure we’ll get fed-up of being fed-up! And, as far as it goes, it looks like you’re doing just about everything you can to promote online … I’m guessing you already use the local press, church magazines, posters, flyers, going to talk to schools / colleges / Unis / writers’ groups / charitable groups / sporting groups /networking groups etc. Of course, you’ve mentioned the Country Market before, a great idea.